« How About Those Lucky Stars? Sometimes people will say they’ve begged the deceased to give them evidence of their survival, and to just let them know that they are happy and healed from any emotional or physical trauma they knew on this side of the veil. At times, the messages from their loved ones, given to the messenger such as myself, are undeniable proof of their existence after death. These evidential messages can be very detailed, and yet some receivers still tend to doubt. The most convincing messages spirit can deliver, I feel, are those of a humorous nature, which can be fairly personal at times. Such was the case of a lady I read for recently whose husband died at a young age in a car accident. Apparently he used to have a problem with zippers in his trousers, and I was able to describe the antics connected to this humorous issue. She laughed and cried, because it was not only true, but it wasn’t something she had ever discussed with anybody else. Deep seated fear of how one would feel should there be a fully blown apparition, or upon hearing the loved one’s voice. Some deep religious belief that this could be evil, or that you could be losing your mind, could act as a block for spirit to communicate with you. And then, there are those who may not really believe that any other world, other than this materialistic one of ours, actually exists. They would like to think so, but they are still very cynical. Not everybody has the same ability to be as receptive to spirit contact, in the form of seeing and hearing spirit, as others. Instead they may find their abilities are in the realm of clairsentience (psychic feeling) or clairolfaction (psychic smelling). 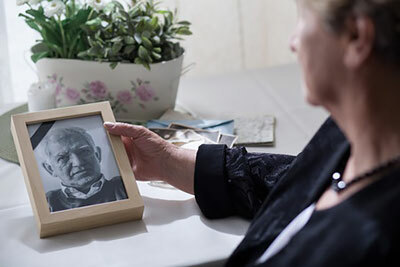 Our frame of mind influences the likelihood of a contact experience occurring, particularly if there is still anger lurking in relation to feeling abandoned by someone’s death. In fact, any negative emotion is a block to spirit connecting with us. I found that contact from my deceased father happened when I least expected it, and when the vibration around me is particularly high. During a monthly psychic circle gathering my father’s voice was heard and recognized by three of the four of us. It was coming from outside the closed door; loud and perhaps not crystal clear, but between the four of us sitters, we gathered he was saying hello and asking to join us. Strange that the voice came from outside of the door, but then that would have been just like my father… to play tricks. Individuals take their personalities with them and will come through with the humor we remember. This can be terrific fun to experience, both for the sitter and the medium, who will feel that they have brought comfort and humor to the client from the other side.